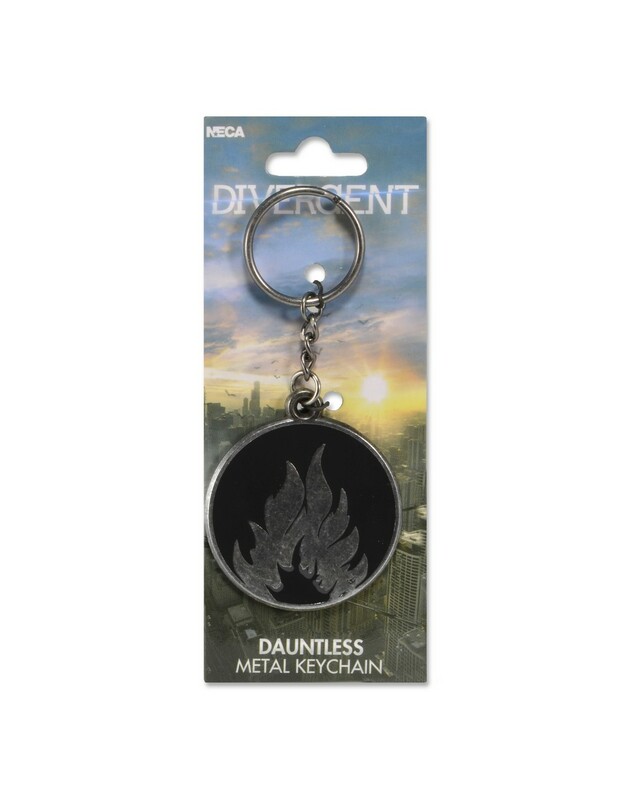 Declare your bravery to the world with this black and silver keychain from the Divergent movie! 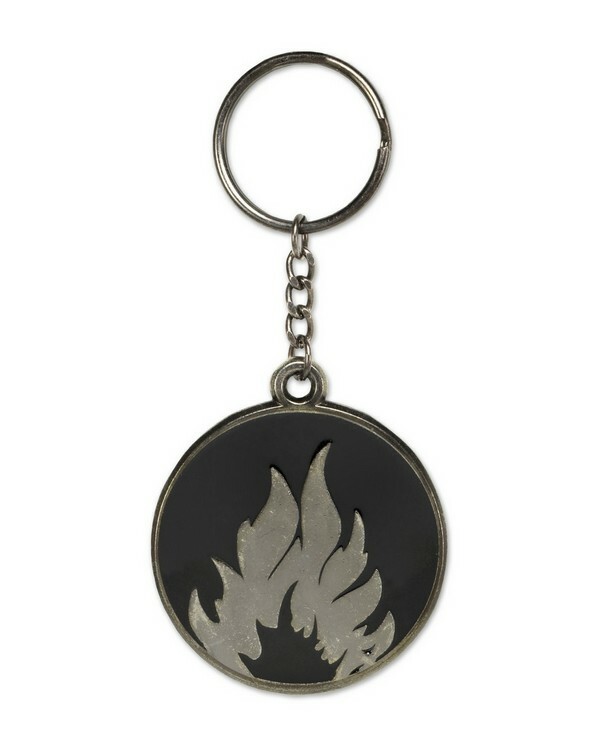 It features the Dauntless faction symbol in metal and enamel on the front. 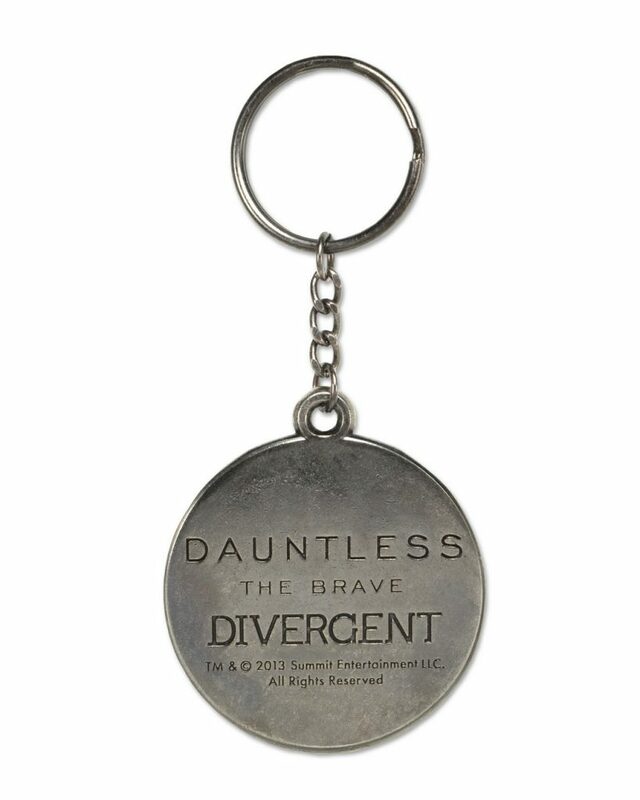 The back is engraved with the faction name, description and the Divergent movie logo. Symbol measures 2 inches across.